The Supreme Court is returning early from its summer recess to consider a potential watermark case that could overturn a century of campaign finance restrictions and clear the way for unregulated spending by corporations on political campaigns. The case, Citizens United v. The Federal Election Commission, has grown from a limited question about a political documentary to a broad challenge to the government's right to restrict corporations from spending money to support or oppose political candidates. Encompassing questions on First Amendment rights, the power of corporations and the influence of money on political elections, it's no wonder the case has created an assortment of strange bedfellows. Conservatives and liberals appear on both sides, either to defend the government's right to restrict corporate political advocacy or, on the other side, to argue that such regulations are a violation of the First Amendment. To help sort through the complicated background and ramifications of the case, Bill Moyers talks with two prominent lawyers: Trevor Potter, president and general counsel of The Campaign Legal Center, who has submitted a brief to the court in support of the F.E.C. ; and Floyd Abrams, a First Amendment attorney, who will be arguing before the court on behalf of Citizens United. If all you do is view this as a regulatory issue [...] then it's easy. [...] But that's not the situation we're confronted with. We are confronted with competing values here. And the values of speech are at odds in this area with the desire of well-meaning and very serious people to do what they think they should to make the system work better. And my view is that the speech interests here are very high, very important, very serious, and that when you take them into account you can't sustain the sort of statutes that we now have on the books and that the Supreme Court is, essentially, taking a second look at. We do think speech is a good thing. The question though is should it be citizens, individuals, voters, who are speaking? Or should it be this artificial corporate entity, which we have, through law, given enormous economic power to? And what the court has said all along is there is a difference between the two. The court has never said that corporations have the right to unlimited independent political speech." >>Read the briefs submitted by Trevor Potter and Floyd Abrams. At the center of this case is a 2008 political documentary, HILLARY: THE MOVIE, which sought to portray then presidential contender Hillary Clinton as a dangerous threat to the United States. The Federal Election Commission considered it an electioneering communication, funded by a corporation, and therefore subject to McCain-Feingold restrictions. When the case appeared before the Supreme Court last session, in early 2009, the question was only whether HILLARY: THE MOVIE was an electioneering communication, but the case has grown in the re-argument. According to the NEW YORK TIMES' Adam Liptik, "some of the broader issues implicated by the case were only glancingly discussed in the first round of briefs, and some justices may have felt reluctant to take a major step without fuller consideration." The court asked for a re-argument, specifically as to whether the court should overrule two previous decisions that upheld the government's right to limit certain types of corporate political advocacy  the 1990 decision in Austin v. Michigan State Chamber of Commerce, which upheld a Michigan state law, and the 2003 decision in McConnell v. Federal Election Commission, which upheld McCain-Feingold. >>Read a selection of briefs filed in this case. 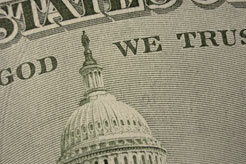 >>Learn more about the history of campaign finance regulation. Floyd Abrams is a partner at Cahill, Gordon and Reindel, LLP. Abrams has a national trial and appellate practice and extensive experience in high-visibility matters, often involving First Amendment, intellectual property, insurance, public policy and regulatory issues. He has argued frequently in the Supreme Court in cases raising issues as diverse as the scope of the First Amendment, the interpretation of ERISA, the nature of broadcast regulation, the constitutionality of the McCain-Feingold law, the impact of copyright law, and the continuing viability of the Miranda rule. His clients have included THE NEW YORK TIMES in the Pentagon Papers case, ABC, NBC, CBS, CNN, TIME MAGAZINE, BUSINESS WEEK, THE NATION, READER'S DIGEST, The McGraw-Hill Companies, Hearst, AIG, and others in trials, appeals and investigations. In 2006, Floyd was elected to the American Academy of Arts & Sciences, an independent research center that conducts multidisciplinary studies of complex and emerging problems advanced by its 4,600 elected members, who are leaders in the academic disciplines, the arts, business and public affairs from around the world. In 1998, Floyd was the recipient of the William J. Brennan, Jr. Award for outstanding contribution to public discourse; the Learned Hand Award of the American Jewish Committee; and the Thurgood Marshall Award of the Association of the Bar of the City of New York. In November, 1999, he received the William J. Brennan, Jr. award of the Libel Defense Resource Center. Floyd was awarded, in 1997, the Milton S. Gould Award for outstanding appellate advocacy by the Office of the Appellate Defender in New York. Previously he had been awarded the Ross Essay Prize of the American Bar Association for his study of the Ninth Amendment of the United States Constitution. He has also received awards from, among others, the American Jewish Congress, Catholic University, the New York and Philadelphia Chapters of the Society of Professional Journalists, Sigma Delta Chi, the New York Civil Liberties Union, the Association for Education in Journalism and Mass Communication, and the National Broadcast Editorial Association. Floyd is the William J. Brennan, Jr. Visiting Professor of First Amendment Law at the Columbia Graduate School of Journalism, a Visiting Lecturer at Yale Law School, and author of SPEAKING FREELY: TRIALS OF THE FIRST AMENDMENT, published by Viking Press (2005). Trevor Potter is the founding president and general counsel of the Campaign Legal Center, and helped to successfully defend the McCain-Feingold law in the lower and Supreme courts. He is one of the country's best-known and most experienced campaign and election lawyers, and a former commissioner (1991-1995) and chairman (1994) of the Federal Election Commission. Potter has been described by the American Bar Association Journal as "hands-down one of the top lawyers in the country on the delicate intersection of politics, law and money." Potter has been listed as one of Washington's Best Lawyers by WASHINGTONIAN magazine and was recognized as a "Super Lawyer" by WASHINGTON DC SUPER LAWYERS magazine in 2008. He served as general counsel to the John McCain 2008 campaign (while on leave of absence from the Legal Center) and also held that position with the McCain 2000 campaign. Potter is a non-resident fellow at the Brookings Institution. He has published several books and articles in the field, including: POLITICAL ACTIVITY, LOBBYING LAWS AND GIFT RULES GUIDE (West Publishing, Third Edition 2008, Second Edition 1999); THE NEW CAMPAIGN FINANCE SOURCEBOOK, Brookings Institution, 2005; and FEDERAL ELECTION LAW AND THE INTERNET, Brookings Institution, 2000. He is a frequent guest speaker at a variety of professional meetings, has testified before Congress on federal election proposals and campaign finance regulation, and has taught campaign finance law at the University of Virginia School of Law and Oxford University. He is co-chair of the Election Law Committee of the American Bar Association's Administrative Law Section, and a member of the Advisory Committee of the Standing Committee on Election Law of the ABA. Potter is also a member in Caplin & Drysdale's Washington, D.C. office, where he leads the firm's Political Activity Law Practice. "Supreme Court to Revisit 'Hillary' Documentary "
By Adam Liptak, THE NEW YORK TIMES, August 2009, 2009. "Citizens United Sparks Pitched Battle"
By Eliza Newlin Carney, NATIONAL JOURNAL, Aug 31, 2009. This article notes the high number of amicus briefs, op-eds and protests that this case has sparked. "A Brief History of Money and Politics"
Published by the Campaign Legal Center. Covers the history of money in politics starting in the 1800s through 2003, including major reforms, and constitutional challenges to past reforms and the BCRA. Public Citizen is organizing protests about the case, urging the Supreme Court not to overturn existing laws.. Argument submitted to the Supreme Court by Solicitor General Elena Kagan defending the Bipartisan Campaign Reform Act (popularly known as "McCain-Feingold"). Argument submitted to the Supreme Court by Theodore B. Olsen, on behalf of Citizens United, charging that aspects of the Bipartisan Campaign Reform Act (popularly known as "McCain-Feingold") are unconstitutional. An argument on behalf of the Federal Election Commission, submitted by the Campaign Legal Center, Democracy 21, Common Cause, U.S. PIRG, Americans for Campaign Reform, League of United Latin American Citizens and Asian American Legal Defense and Education Fund. Trevor Potter is the attorney of record. Submitted by Floyd Abrams on behalf of Senator Mitch McConnell in support of Citizens United. An argument on behalf of the Federal Election Commission, submitted by Program on Corporations, Law & Democracy; Women's International League for Peace & Democracy; Democracy Unlimited of Humboldt County, Shays2: The Western Massachusetts Committtee on Corporations & Democracy; and the Clements Foundation (Editor's note: The Clements Foundation is one of the foundations providing funding for BILL MOYERS JOURNAL). Jeffrey D. Clements is the attorney of record. Here you can download all the documents pertaining to the case. The site also provides a summary of the case and how it has changed since the request for re-argument. Historical background of the Federal Election Commission. Published by the Federal Election Commission. A very brief overview of relevant campaign finance laws, their aims, and the creation of the FEC. "A Sisyphean History of Campaign Finance Reform"
by Jack Beatty, THE ATLANTIC, July 3, 2007. A brief history of reform efforts, based on Justice David Souter's dissenting opinion in the 2007 case Federal Election Commission v. Wisconsin Right to Life. Provided by Hoover Institution; covers major court cases starting with Buckley v. Valeo (1976), which challenged the Federal Election Campaign Act, through McConnel v. FEC (2003). Next week, the Supreme Court reconvenes early for a special hearing on the constitutionality of campaign finance limits for corporations. To hear the arguments, Bill Moyers sits down with Trevor Potter, president and general counsel of The Campaign Legal Center and a former chairman of the Federal Election Commission, and Floyd Abrams, a First Amendment attorney.